Yalta, spread out on the southern coast of the Crimea, is the most popular city of the peninsula, and it proudly carries the epithet “capital of Crimean resorts.” The unique combination of natural beauty, endless sea, splendid beaches, and abundance of tremendous architectural and historical sights, have all played a part in elevating this city to such heights. 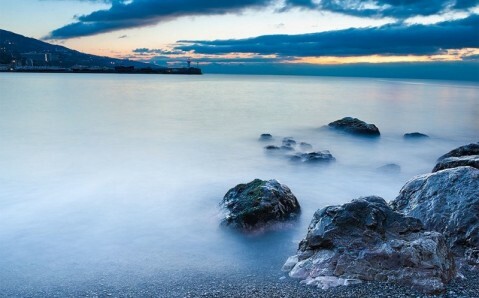 But Yalta is best known as a splendid resort with many first-rate sanatoriums. The mountain air is filled with the scent of conifers and the sea, making a visit to this city a rejuvenating sojourn. It is not by mere chance that in the 19th and early 20th centuries, Yalta was a coveted resort town for Russia’s aristocrats and emperors. The numerous villas of royal family in Yalta’s suburbs are a testament to this fact. 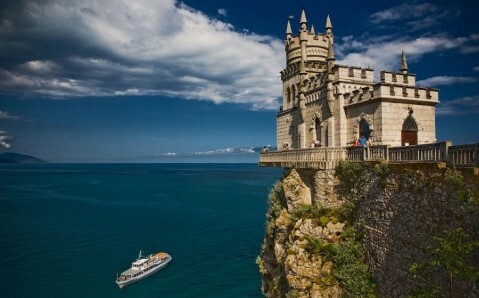 The three most famous summer residences, the Vorontsov, Livadia and Massandra Palaces, adorn the South Coast of Crimea. Legend has it that Greeks named the city Yalta in the first century. Some sailors, who had lost their way, were looking for shore; when they finally saw land, they decided to build a settlement there and gave it the name "Yalos" ("shore"). In ancient times, the city was a part of the Roman Empire, and during medieval times, it became a part of the Byzantine Empire, as well as the Genoese colonies. At that time, it became known as Yalita. In late 18th century – when the Russian Empire conquered the region - the Crimean Tatars inhabiting this lands started to abandon the peninsula. 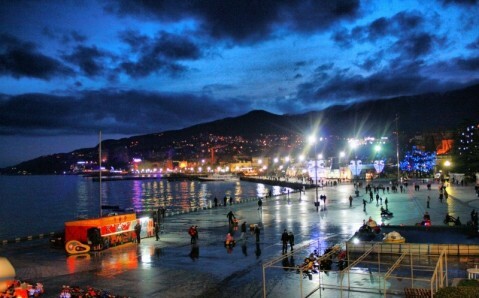 Yalta became almost deserted, and had the appearance of a small fishing village. Only half a century later would the city rise and, step by step, turn into a splendid health care resort, whose reputation among travelers grows each year. 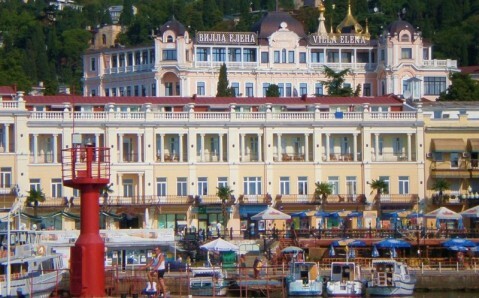 Yalta is an unusual resort. It is attractive not only because of the potential health benefits, but also because it has a treasure trove of cultural wealth. It is for good reason that this gem is called an outdoor museum. The most popular place for leisurely walks among locals and guests alike is the picturesque Lenin Boardwalk, whose architecture has incorporated the most unthinkable styles. 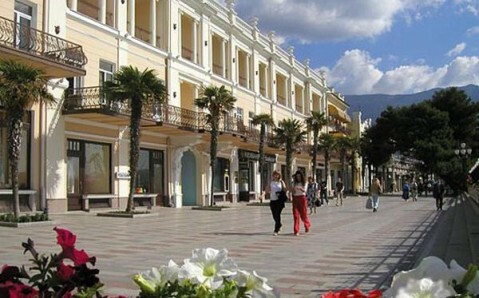 Yalta’s main street is full of entertainment centers, coffeehouses, restaurants, and attractions; life here does not stop pulsating even for a second. From the boardwalk, you can gaze at snow-white yachts, and then begin your own boat tour to admire the exciting Crimean nature. Yet the most worthwhile of Yalta’s landmarks, according to many tourists, is the White Dacha, the House-Museum of Anton Chekhov. The great Russian writer, who came here to improve his health at an old age, spent the last five years of his life in Yalta. Here, he wrote his most famous works: the short story "The Lady with the Dog" and the plays "The Cherry Orchard" and "Three Sisters.” The most remarkable thing about the museum is that the furnishing of the rooms has remained just the same as it was during Chekhov's life. Yet another point of interest for Yalta’s visitors is its sacral architecture. The most famous temple is the majestic Alexander Nevsky Cathedral, built in the Old Russian style in late 19th century. 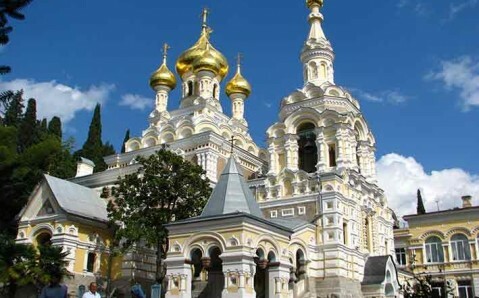 The Roman Catholic Church, combining the Roman and Classical features, and the Armenian Church, located on a hillside, both give Yalta an inimitable charm. Yalta conquers hearts not only with its fairy landscapes and natural and handmade sights, but also with the hospitality it offers to each guest. All this makes it the most welcoming city on the peninsula, attracting thousands of tourists all year long. Yalta es un lugar impecable. Me recuerda un poco de Barcelona. La villa también está encerrada entre montañas y mar. Eso crea un ambiente inmejorable que te haga venir aquí de nuevo. Además, la ciudad sorprende por una cantidad enorme de los lugares de interés que no dejan indiferentes. Cabe ver los palacios en las afueras y pueblos próximos a Yalta, que están localizados a una escasa distancia de la ciudad. Sin la menor duda, es necesario venir aquí para sumergirse en un entorno cosmopolita y lleno de color local.